AH: On what merits did Judge Lamberth overturn embryonic stem cell research funding? NM: The plaintiffs argued that the new National Institutes of Health (NIH) funding guidelines were illegal because of the Dickey-Wicker amendment, an appropriations rider. They argued that Dickey-Wicker prohibits federal funding of research that involves, in some way, the destruction of an embryo. AH: So what specifically does the Dickey-Wicker amendment ban? 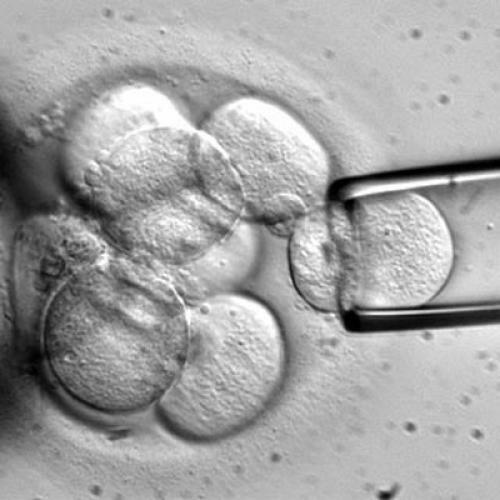 NM: The language essentially says no funding can be used for research in which a human embryo or embryos are destroyed, discarded or knowingly subjected to an injury. NM: Judge Lamberth said those enterprises are not separable and human embryonic stem cell research depends integrally on a process of destroying an embryo to derive the embryonic stem cells. He declined to accept the government’s argument that all the government is really funding is research on embryonic stem cells—that the government is not funding the process by which embryonic stem cells are derived from the embryos themselves. He also concluded that the language of the statute was plain. AH: Lamberth’s finding that the statute is unambiguous is a big deal, right? NM: There’s a judicial doctrine that’s been existence since at least the mid 1980s that if a statute is ambiguous and an agency has the authority to implement that statute, then a court should defer to the agency’s reasonable interpretation of that statute. That’s known as the Chevron doctrine. Lamberth’s point—which is consistent with the Chevron doctrine—is when the statute is clear, you don’t need to worry about what the agency is saying. The agency is bound by the law, and it’s clear what the law is, and the analysis stops there. AH: So what comes next? How does the government fight this ruling? NM: The appeal is likely to focus primarily on two issues. First, is the statute clear in the way that Lamberth says it is? Then, if the government can prove the statute is not clear, the court will then turn to what the agency interpretation is and whether it deserves deference. AH: How could you argue the statute is unclear? NM: That’s not an open and shut question in my view. Judge Lamberth’s position that the statute’s language is clear will be persuasive to many people. On the other hand, the first version of the Dickey-Wicker amendment was, as I understand it, actually passed before the form of embryonic stem cell research that the NIH is now funding was even invented, so Congress may not have had anything in particular in mind about embryonic stem cell research. Congress also has taken some actions since the Dickey-Wicker amendment was first passed that suggest its meaning is not crystal-clear. They’ve passed the Dickey-Wicker amendment every year since 1996, even knowing that President Bush authorized funding of embryonic stem cell research on some existing cell lines and even after President Obama indicated that his NIH was going to be authorizing funding on embryonic stem cell research. Some might say Congress has implicitly acquiesced to the way the executive branch is approaching embryonic stem cell funding. More persuasive than that, in 2006 and 2007, Congress passed legislation to increase funding for stem cell research. Now that legislation was ultimately vetoed by President Bush, but both houses of Congress voted to pass legislation that would have increased federal funding for stem cell research. The understanding of the majorities in Congress seemed to be that increasing stem cell research funding was consistent with Dickey-Wicker, because all that that amendment prohibited was federal funding of embryo destruction. That legislation is likely to be a very relevant piece of information to a court of appeals trying to figure out whether Dickey-Wicker is clear or ambiguous and what it means. NM: That’s a very accurate description of the interpretative method. This is no longer unusual. Justice Scalia is the leading proponent of this style of interpretation, which is called textualism and which relies very heavily on dictionaries to illuminate the meaning of words in statutes. So Lamberth’s not unusual in doing this—this type of interpretation now has many adherents. There are certainly alternative approaches to interpreting statutes. And relying on dictionaries is an approach that is subject to important criticisms. One is that it can be manipulated—you can pick and choose your dictionary. In fact, there are Supreme Court opinions where you see a war of dictionaries, where the different justices will pull out different dictionaries, each in support of a preferred interpretation of the statute. The other criticism is based on the idea that a judge’s function in interpreting a statute is to carry out what Congress wanted when it enacted the statute. If you’re carrying out what Congress intended, better sources to figure out what Congress meant by a particular word might be looking at other actions Congress has taken, or even statements members of Congress have made, rather than opening up the dictionary. AH: This case sounds like a mess. Is there a better way to deal with this situation other than through years of legal battles? Even as the science has evolved, even as controversy has emerged, Congress has passed the Dickey-Wicker language every year without revisiting the issues that need to be resolved in the legislation. I think the best thing to do to fix this case is for Congress to pass clarifying legislation, especially given that Congress seems supportive of stem cell research, and the public is supportive of stem cell research. Congress could change Dickey-Wicker to make it clearer that what they really want to prohibit is the use of federal funding either to create an embryo or destroy an embryo. Researchers would have to rely on privately derived embryonic stem cells, but that’s what they do now.